Join us for an in conversation with artist Rose Wylie and the Director of Tate Modern, Frances Morris. As part of our 2019 International Women’s Day programme, Feminist Time, join us for an in conversation with Rose Wylie as we celebrate her projects and achievements, and explore the difficulties she has encountered in the art world. 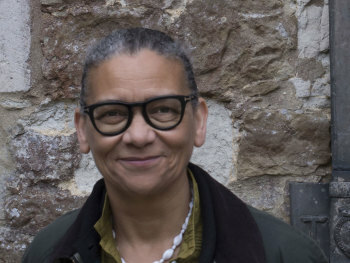 Wylie will discuss how she has navigated an often male dominated field with Tate Modern director, Frances Morris, and consider how she paved a way for women artists of the future. The pair will also discuss the progression and state of the art world for women since Wylie became a practising artist. Rose Wylie is a painter. She studied at Folkestone and Dover School of Art and the Royal College of Art. In 2010, she represented Great Britain in Women To Watch at the National Museum of Women in the Arts, Washington D.C. Her first retrospective was held at the Jerwood Gallery, Hastings in 2012 followed by her BP Spotlight exhibition at Tate Britain in 2013. She has exhibited internationally. Wylie received the Paul Hamlyn Award in 2011, the John Moores Painting Prize in 2014, and the Charles Wollaston Award in 2015. She has given talks on her work at The Slade, Goldsmiths, Wimbledon College of Art, The Royal Academy Schools, The Royal Drawing School, John Moores Liverpool, the ICA and Tate Britain. Frances Morris became Director of Tate Modern in April 2016. Since joining Tate in 1987 as a curator, then becoming Head of Displays at Tate Modern (2000–2006) and then Director of Collection, International Art until April 2016, she has reimagined Tate’s collection and has been instrumental in developing its representation of women artists. Frances was jointly responsible for the initial presentation of the opening collection displays at Tate Modern in 2000 which radically transformed the way museums present the story of modern art. She has curated landmark exhibitions, including three major retrospectives of women artists including Louise Bourgeois in 2007, Yayoi Kusama in 2012 and Agnes Martin in 2015. Frances holds an MA in History of Art from Cambridge University and the Courtauld Institute of Art, London, and is an Honorary Fellow of King’s College, Cambridge. What is feminist time? How have scholars, activists and artists interrogated the concept of time to overturn hegemonic narratives of art history? What can challenging and reimagining history do for future artists? 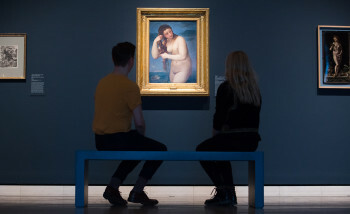 How can we collect and curate women’s art? Through 10 days of discussion, musical performance, talks, workshops and tours, we will explore these essential questions and look to an art world that includes feminist time.